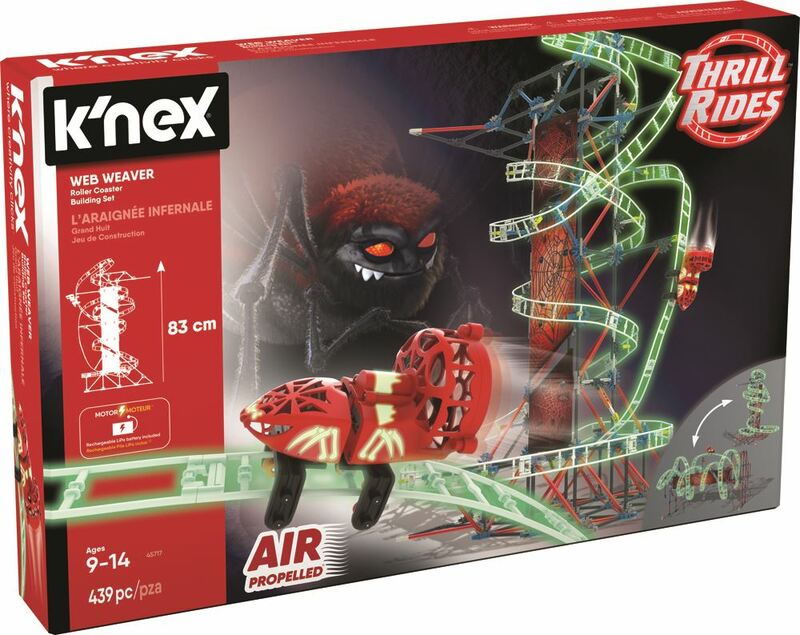 Build a massive, moving, motorized roller coaster for hours of exhilarating fun with the K'Nex Web Weaver Roller Coaster Building Set. The air-propelled coaster is equipped with a battery-powered motor that lets the car travel at high speed and through vertical and horizontal thrills. For the ultimate in fun, let your child flip the coaster while the car is traveling through the tracks and witness the amazing performance of the air propelled car! Includes: over 430 K'nex pieces (gears, variously sized connectors, and multiple styles of rods-short, long, straight, and curved) and easy to follow instructions. Stands 2.5 feet tall. Part of the Thrill Rides range. Age 9 + years. Distributed in New Zealand by Holdson.